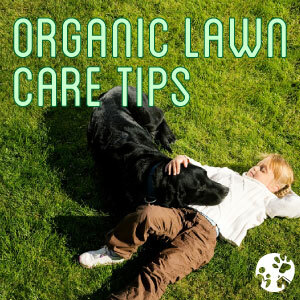 Home > DIY- Do it Yourself > Green Pest Control > Insects > Natural Insect Repellents > Organic Lawn & Garden > Lawn Care: How to Prep Your Yard for Spring! Spring has almost sprung, and it’s time to start working on your lawn. While lawn care may seem like a daunting task, you can use powerful pest control to help keep your lawn lush and green. 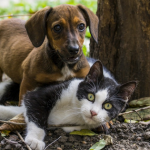 Spring also brings fleas, ticks, and ants alive! So to protect your lawn, use safe lawn care products that are safe and effective. Here are a few lawn care tips to get your lawn in great shape for the spring. Minimize your total lawn area! Planter beds, mulched areas, wildflowers and native grasses are great lawn alternatives that reduce water and fertilizer needs. It also gives your lawn and garden variety and color. For the best growth you’ll want a strong foundation. Testing your soil helps you prepare it for your new lawn. -Get at least six inches of soil; you’ll need it as a good foundation for effective lawn care. -Prepare the soil by removing perennial weeds and mixing into it at least 2” of cedar shavings. -Level your lawn! This will avoid water puddles forming. -Choose the best grass for your location. Consider sun, shade and water needs when choosing–see chart below for suggestions. 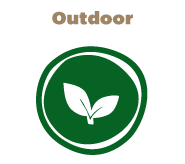 -Choose either seeds, plugs, or sod to plant, and then keep the soil moist until the lawn becomes established. -Don’t overdo it! Avoid over watering newly seeded lawns to prevent your grass seeds from washing away! While your lawn grows and thrives, use safe pest control like Wondercide’s Outdoor Pest Control lawn care product. It’s a natural solution for lawn care that does not harm beneficials like butterflies, bees or birds. 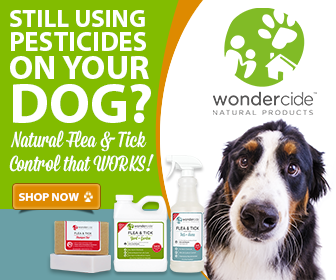 Wondercide Outdoor Pest Control has proven to be equally safe and effective while being environmentally & pet friendly. Hose End Sprayer: Set the hose end sprayer to apply 4-8 oz of Wondercide Outdoor Pest Control per 20 gallons of water. Treats 4-5,000 sqft. 1 Tbsp per 1 gallon of water to cover 500 sqft. Repeat applications recommended every 30 days or as needed for desired results. Compression: Mix 4 oz. of Wondercide Outdoor Pest Control per gallon of water. Use one gallon of solution per 1,000 sqft surface area. Fog: Outdoor applications mix 4-6 oz Wondercide Outdoor Pest Control per gallon of water for mosquito and flying insect control. Misting System: Mix 16-25 oz Wondercide Outdoor Pest Control in 50 Gallons of water. Adding water to Wondercide Outdoor Pest Control is the preferred way to initially mix this soluble solution. Increase frequency and duration to improve performance levels. Irrigation System: Injection Rates of 1500 to 2500 to 1 provide satisfactory delivery of Wondercide Outdoor Pest Control during 1 to 2 minute watering cycles. Adjust injector controls to increase or decrease usage. Increase delivery time for enhanced performance. Best of luck on growing your lawn with safe pest control! Using this chart, you can decide which grass is best suited for your environment. Make your lawn more beautiful and protect it from pests with lawn care by Wondercide! Always awesome to uncover a new blog site this good! I will be back for sure.